St. George’s is a one form entry primary school in the middle of a housing estate in Battersea, South London. The school has 63% of children eligible for the Pupil Premium and over 32 languages spoken. It is the most deprived school in the borough of Wandsworth and within the 2% most deprived areas, nationally. We were judged to be ‘outstanding’ by Ofsted in September 2011 and this is where the journey really started for us. We wanted to continually improve and develop our practice and share it with others. Writing was a key area that we wanted to continue to improve. 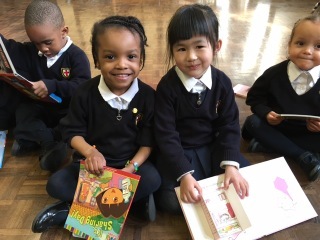 With limited language skills, and children speaking different languages at home, we wanted a writing programme that would develop children’s speaking, listening, vocabulary and grammar skills alongside their creative writing skills. Talk for Writing was it! We have used TfW across the whole school since 2011 and have watched our children thrive. Their ability to be successful storytellers and writers has developed beyond our expectation and this is life changing for the community. 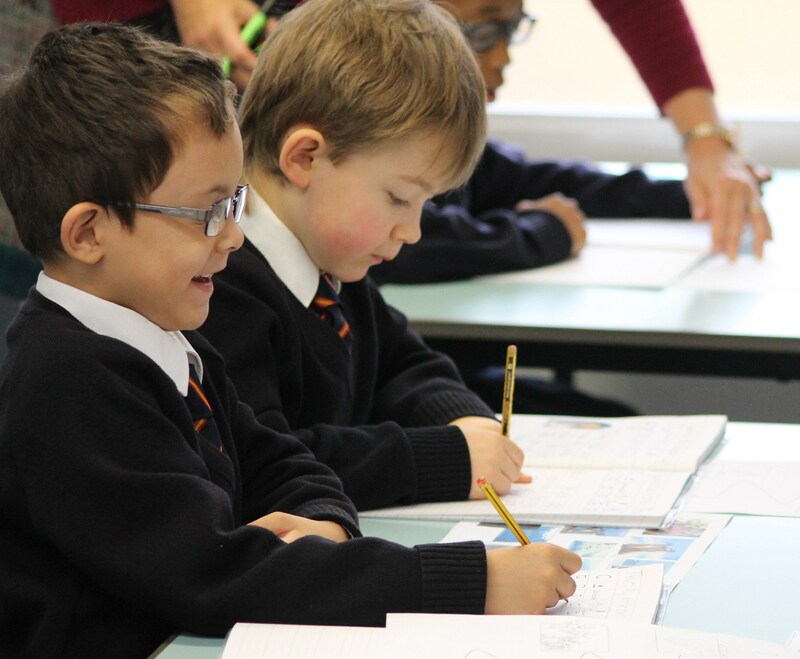 We ensure that all teaching is simple and effective and children are taught handwriting formally so that they have the physical skills to aid their creative writing – boy writers are a strength at St. George’s! As a thriving National Support School, we worked with more than 40 schools last year on various aspects of their school curriculum and leadership. We offer ‘Taster Mornings’ for those interested in getting to know more about the power of Talk for Writing. There will also be in-depth courses for subject leaders to implement Talk for Writing across their schools. Talk for Writing in the Early Years is a significant strength for us (Pie Corbett used our setting his upcoming ‘Talk for Writing in the Early Years’ book & DVD) and we can offer visits/training packages for whole teams and groups of schools. We do offer personalised training for a school or individuals. Please contact us if you would like more information about this. Training session with Deputy Headteacher – What is T4W? How can you use it in your classroom? An opportunity to tour the school and see TfW lessons in action across all key stages. Time to look at children’s books and writing outcomes in all key stages. An hour long session led by the Deputy Headteacher looking at the next steps in your TfW journey – how to build on your initial implementation of TfW.